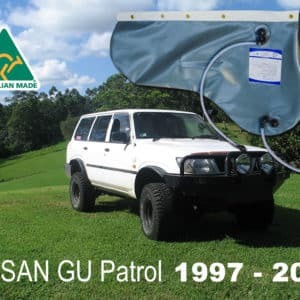 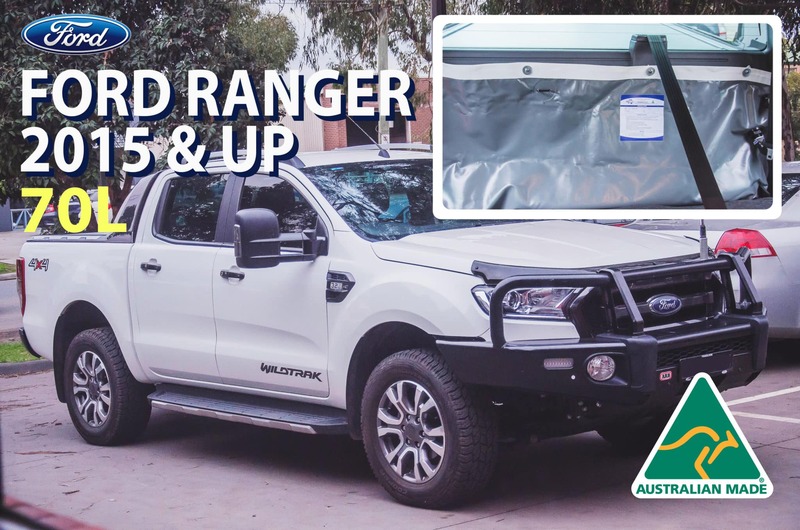 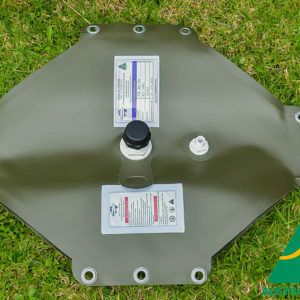 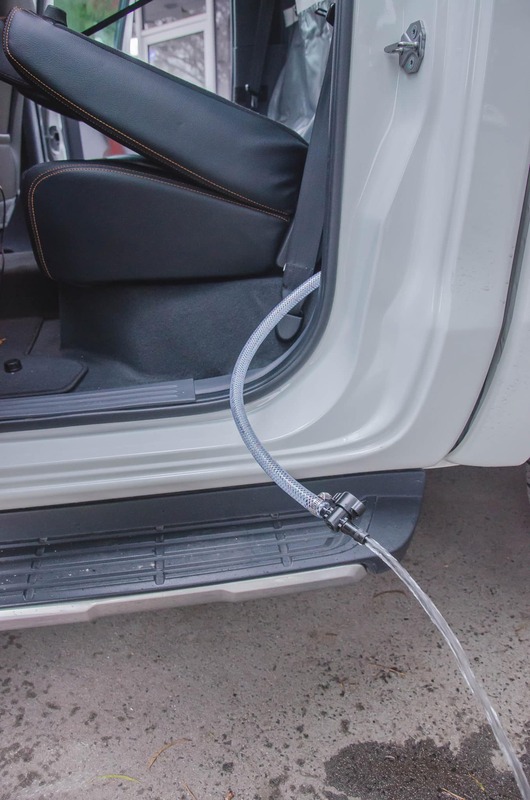 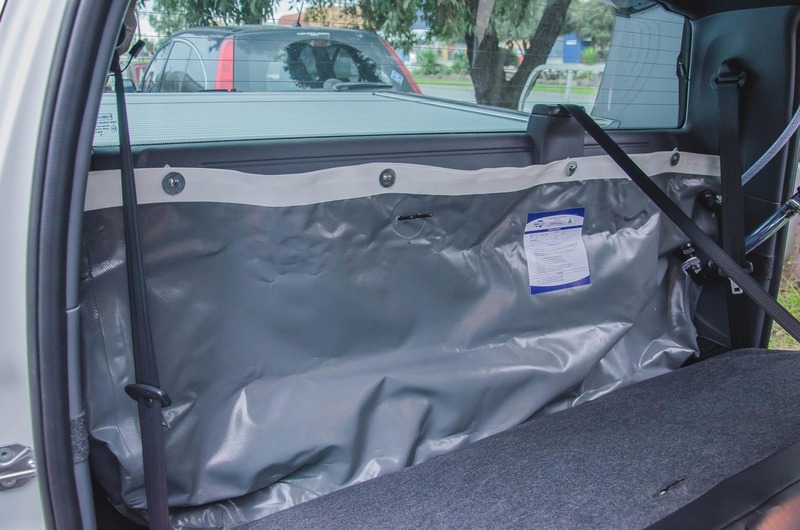 Our newest standard model to our vast range is the NEW model Ford Ranger Hanging Bladder. 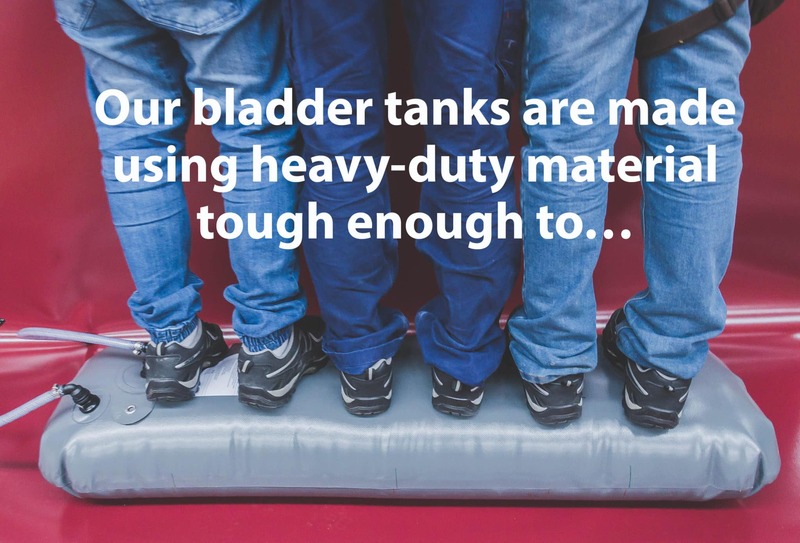 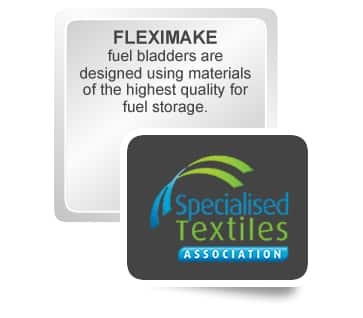 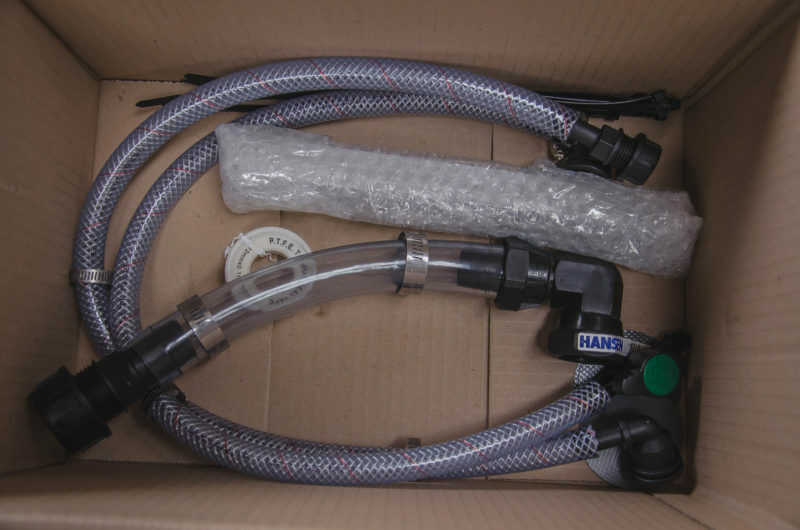 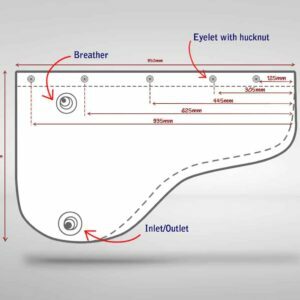 Similar to the standard universal bladders, this hanging bladder features specifically positioned fitting locations and openings to mould to the best shape and reach its maximum capacity. 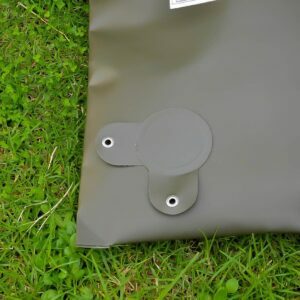 With the new models, unfortunately these no longer have points to secure to natively, although with some moving of bolts and a bit of elbow grease this is no longer an issue. 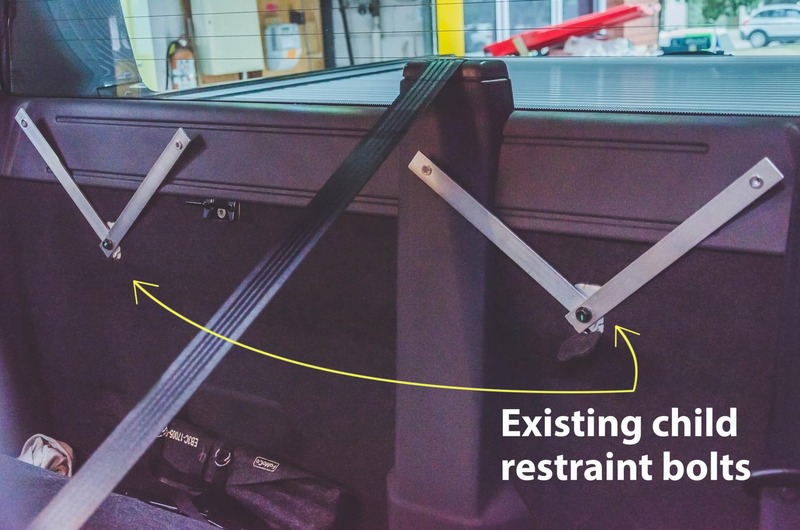 Using the existing child restraint screw and bolts, the mounting strips (included with the bladder) are connected to this by removing the nut, adding 2 of these mounts and re-tightening of the nut down. 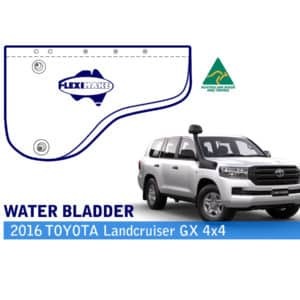 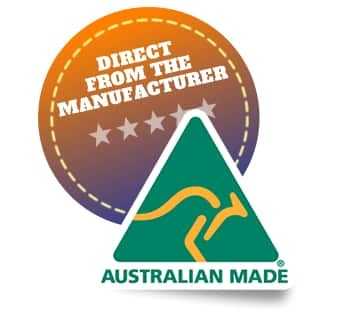 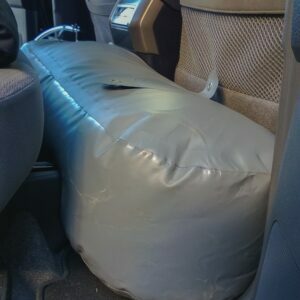 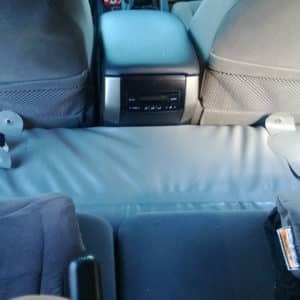 This means installation of the bladder requires no alteration to the build of the vehicle. 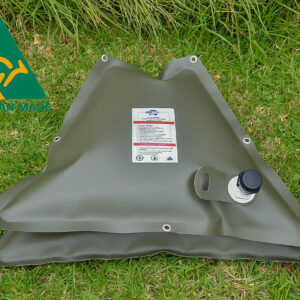 With our new Ranger bladder, have 70 Litres of clean drinking water at your in what would normally be empty space. 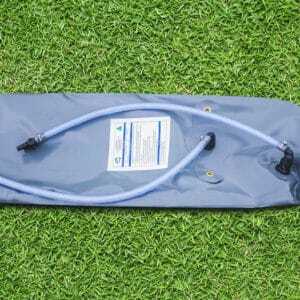 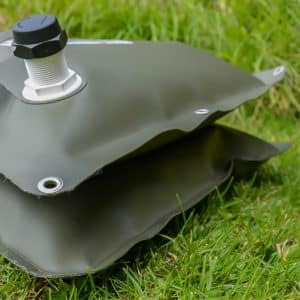 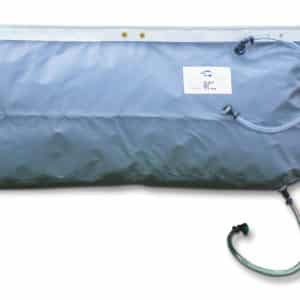 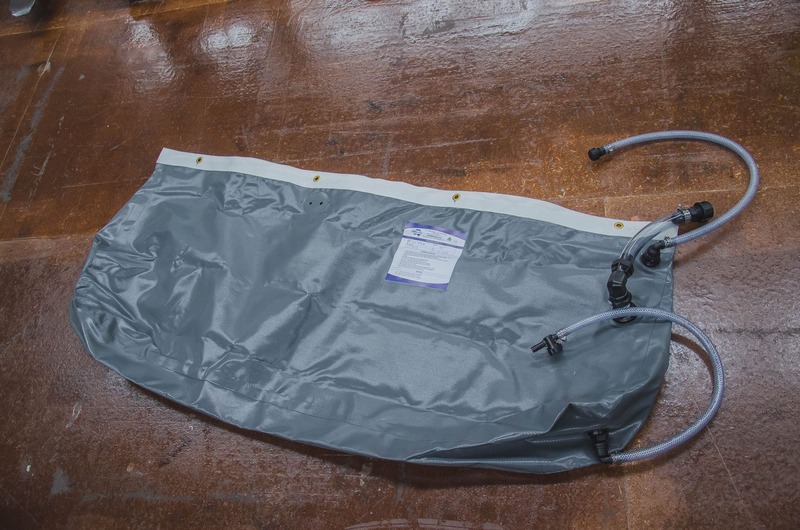 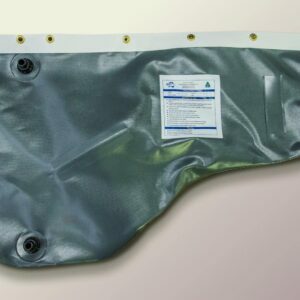 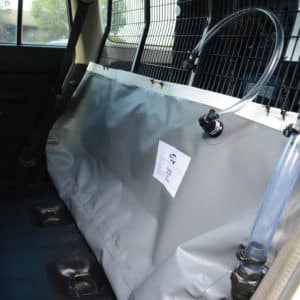 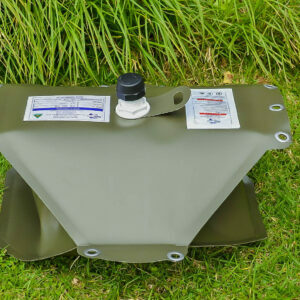 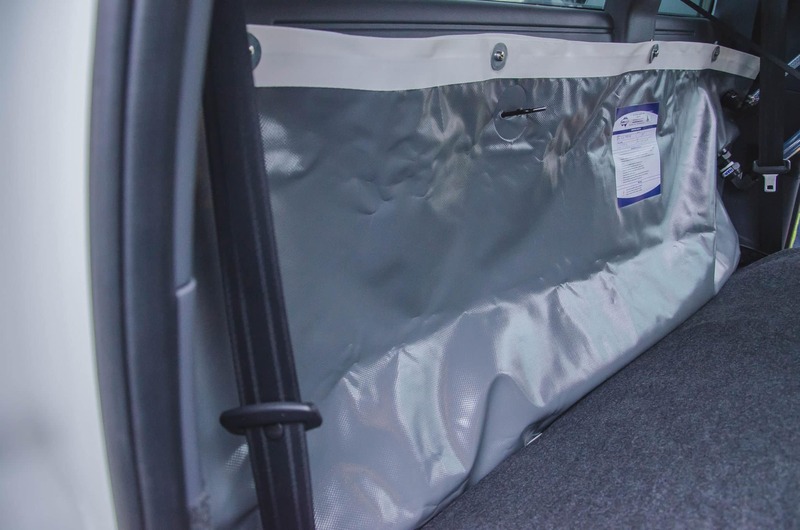 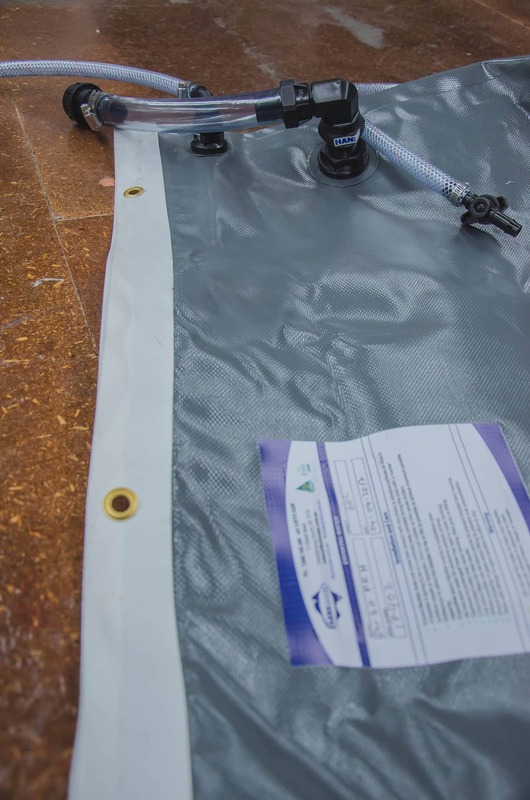 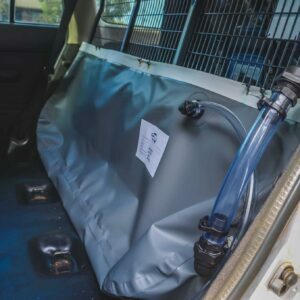 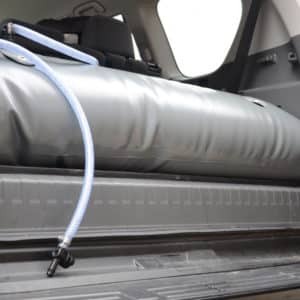 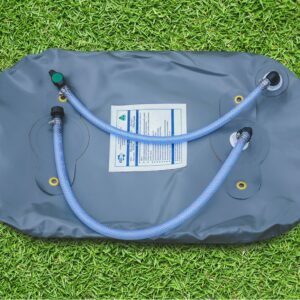 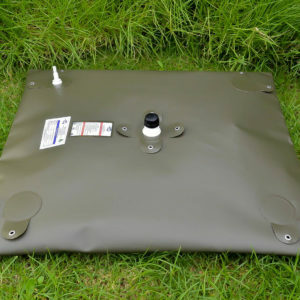 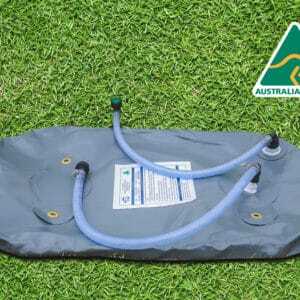 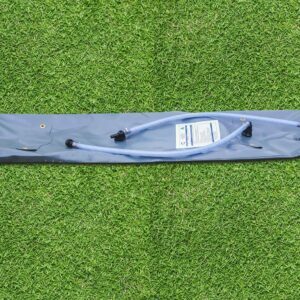 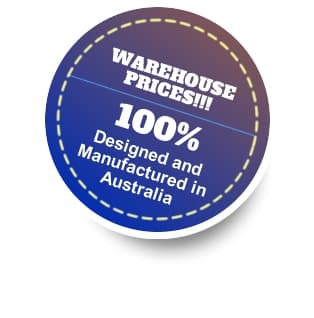 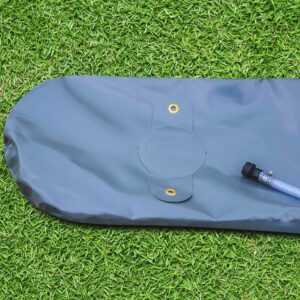 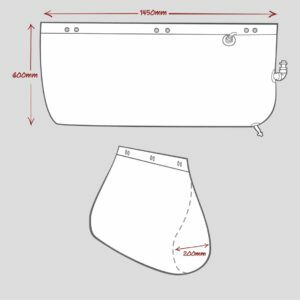 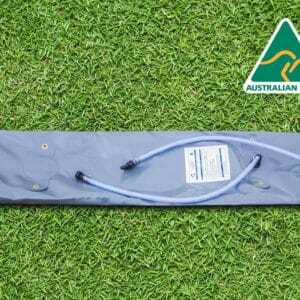 The 70 Litre Hanging Bladder comes in our standard 900GSM Grey Material and fitting placement can be changed upon request at no additional charge.